Criticism against police officers isn’t the only thing that Canadian authorities are cracking down on. Now the Harper government is looking to use hate crime laws against Canadian advocacy groups that try to encourage boycotts of Israel. There are a number of organizations which could be implicated from this move, from large labor unions to the United Church of Canada, and many others. 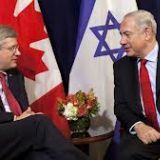 It is no secret that the Harper administration and Israeli officials have had a close relationship over the years, and Canadian officials now look wiling to place that support for their friends, above the basic Charter-protected rights to free speech of Canadian citizens they are in place to represent. Israel has continued to gain a lot of criticism throughout the years for its questionable military actions, one movement in particular that has caught the attention of officials in Canada is the Boycott, Divest, and Sanction (BDS) movement. 7. No prosecution can proceed without approval of the attorney-general, which introduces political accountability because the attorney-general is a cabinet minister. Hopefully these types of checks-and-balances in the Canadian legal system would prevent any peaceful individual from being wrongfully incarcerated, simply for sharing their non-violent viewpoints. Civil liberties groups are insisting that the new move by the Harper administration would be challenged in court because of the seeming infringement on basic rights to free speech. Public Security Minister Steven Blaney has deemed boycotts of Israel to be on par with anti-Semitic hate speech and violence. Blaney says the government should show zero tolerance when dealing with BDS and this type of criticism. It appears as if there are efforts being made in a number of ways that contribute to the overall action of suppressing dissent from the status quo. Is it going to soon get to the point where you cannot criticize the government at all? Is that a pillar one would expect to find in any “free and democratic” society? Especially a nation which has an international reputation as being a bastion for human rights. Over the last few months in Canada we’ve seen piano players losing contracts over controversial political tweets regarding Russia and Ukraine, mail employees refusing to carry mail that had too strong a message for their personal feelings, student activists being jailed and fined for sharing controversial anti-police street art, citizens being bullied into feeling like they’re “with the terrorists” if they don’t support unjust anti-terror legislation, and now anyone who vocalizes dissent against the nation of Israel is also going to have problems. We can only imagine what’s next.